Sen. Tammy Duckworth, Illinois Democrat, on Sunday said she believes there are enough votes in the Senate to pass a resolution disapproving of President Trumps recent emergency declaration the White House says will allow him to tap unspent money to construct a border wall. But frankly, I think theres enough people in the Senate who are concerned that what hes doing is robbing from the military and the [Defense Department] to go build this wall, she said. Under the National Emergencies Act, Congress can pass a resolution disapproving of Mr. Trumps emergency declaration. The Dems are whistling past the graveyard if they think there's enough votes to override a Trump veto. What effect does a resolution have? There’s a LOT of leftwing RINOs in both the Senate & House...so it could happen. GO back to sleep Congress! Well, lets have the vote and see who they are. My guess is my sorry a$$ Senator, Lamar Alexander will be one of them. Foam Boy Rubio could be another. The Senate can “disapprove”, but when there was opportunity to come up with a good workable program, they fumbled around unable to find their own butts with both hands. When there is a disagreeable task to be done, hesitation is not a virtue. Uh, skerred now. NOT! PDJT #1 job, protect the country. Does “disapprove” have any legal or enforcement effect? Border safety is a CONSTITUTIONAL issue. Illegal immigration and immigration of our enemies are INVASION. U.S. Const. art. IV, sec. 4. Yeah the democrats care so much about the military. Seems to me Trump supporters should stay home on any republican who votes against the president. And don’t they need 60 votes just to get to a vote? they fumbled around unable to find their own butts with both hands. But it makes me wonder whose butts are they finding, and what are they then doing with them? It feels like they are finding mine, EEK! I worry more about one of our AZ senators than the other. Neither is predictable however. Not gunna happen, Mitch won’t even bring it to the floor. If it’s a Joint Resolution, it has the same effect as a bill and requires the approval of the President. McTurtle said he would back the Emergency Declaration. So Why would he even allow this resolution to come to the floor for a vote?? He has the power to keep it from coming to the floor. If he allows a vote he is once again backstabbing the President. Exactly right. It is always amusing to hear a Dem concerned about the military. 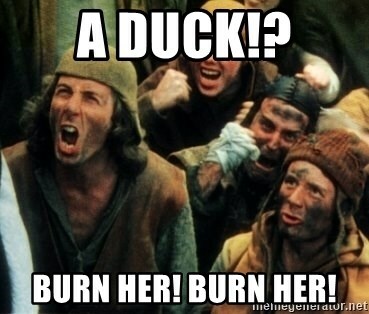 Ducklady get a brain! you are wrong to think he is robbing from the military, if the military is aware and said ok for him taking it. Is there a site, similar to heyjackass.com, that tracks major crimes committed by illegal aliens?